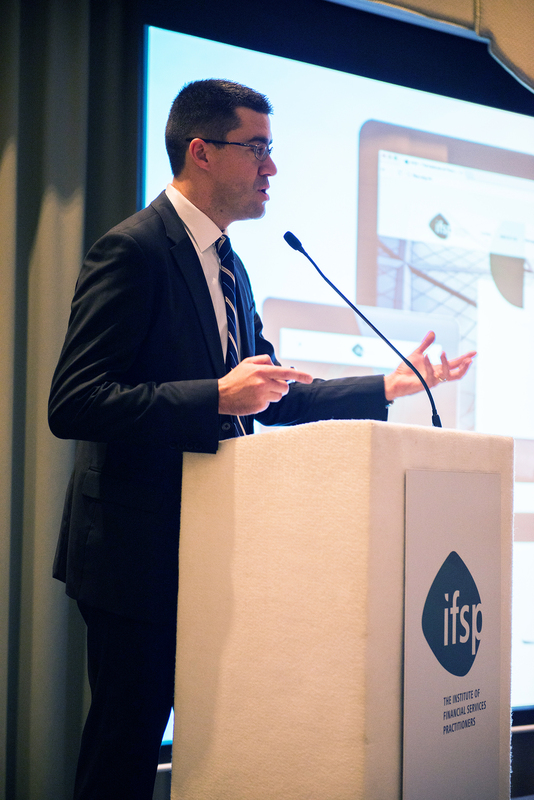 During the IFSP 2017 Annual Conference, the Concept Stadium Co-Founder and Director Jonathan Chetcuti presented a demonstration on how members of the Institute of Financial Services Practitioners (IFSP) can increase their interaction with the Institute by means of a new online CRM platform. The IFSP in Malta trusted the Concept Stadium team to build this Client Relationship Management system that allows the members and administrators to automate existing processes, give more control to members over their own data, enhance the user experience and centralise various data sources. The new CRM system gives IFSP a more organised way of carrying out its various duties and certainly smoothens its operations, both from an administrative perspective as well as for its members. Features of the new CRM system include the centralisation of data by importing databases in one hub, the facility to update databases with ease, an advanced search and filtering system that allows the administrators to query the users and their actions, and an organised mailing list, amongst others. In addition, Project Management and Event Organisation Modules were also deployed. Giving a brief comment after the presentation, Jonathan Chetcuti said “Companies and NGOs are nowadays appreciating the importance of organising their data electronically. CRM systems have become one of the most valuable assets of any organisation, not only because they act as a repository of one’s clients, but they also allow you to seize business opportunities by keeping track of contacts and potential leads”. “By keeping on top of your data, you can make clients feel understood, and that history with your organisation is key to building long-time relationships with them”, he added. Simon Gatt, IFSP Secretary General, said “In an effort to streamline the institute’s operations, in order to better serve our members, we approached the Concept Stadium for the creation of a more centralised client relationship management system. We were very proud to present the new system to our members at the IFSP Annual Conference and it was very well received by our members”. The IFSP Conference took place on the 26th of January at the Xara Lodge, Rabat with a guest list of over 200 financial services professionals. The topical issues discussed included the increased regulatory measures, the current political climate and the technologies that promise to upend the certainties that have underpinned the market for decades. Do Maltese Prefer Print Or Digital Reading?